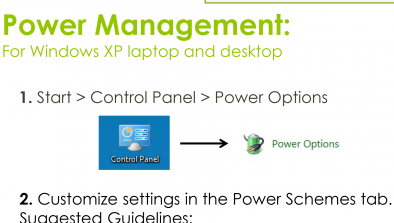 This green tip comes to us from Harvard Law School's energy manager Eric Potkin who found that reducing your computer monitor brightness from 100% to 70% can save up to 20% of the energy the monitor uses. Most people won't notice much difference in their monitor between 100% and 70% brightness, so reducing brightness to the minimum comfortable level is a great opportunity to save up to 20% of your monitor's energy consumption. 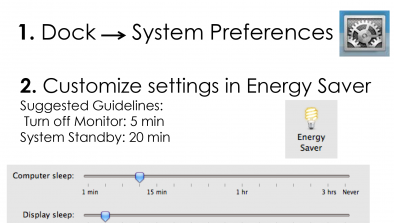 Finally, users should make sure that if the monitor has an energy savings mode it is enabled.